5 Most Popular and Fun Baby Shower Games - Infinez | To make a baby shower more entertaining to the guests, you can prepare small games that can be participated by some volunteers or all of the guests. This can be done as icebreakers or during the time when the mother is opening the presents. After somebody has won a game, you can prepare small tokens as their prize. These tokens need not be expensive; it can be chocolate bar, candle or anything to remind the winner of his or her successful participation in the game. 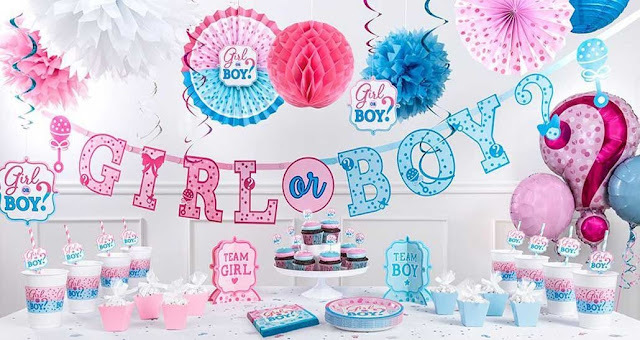 When choosing a baby shower games, make sure that you have selected something that will appeal to your guests. Research on the guests' backgrounds and ages since these are factors in which you can judge if they will enjoy the baby shower game or not. As much as possible, choose a game that will require interaction among the guests, especially if you the guest list includes family members, and different groups of friends who may not know one another. This game is better if participated by the younger guests. The host will read a list of animals to which the participants will call out the names of the babies of the animals. To make the game more entertaining, you can pictures of the animals that are in a pile. The participants can choose the correct picture, say the name of the mother and baby animal and mimic the sound of the animal. You can have this baby shower game played by all of the guests. Prepare several lines from different nursery rhymes. The host will read these lines to the guests but with an omitted word. The guests will try to guess what is the missing word in the nursery rhyme. The person who has called out the most correct answer wins. Prepare a tray of baby things that you will show to the guests for 15 to 30 seconds. After that, ask the guests to write the items that they remember. The person who has remembered the most items will win this baby shower game. Prepare for this baby shower game by purchasing several types of baby food and removing the labels and replacing the covers with opaque paper. Number the jars for reference. Ask the guests to identify the baby food by smelling or tasting. The person who has made the most correct guesses wins the baby shower game. This is to done only if the guests know, or are at least familiar with one another. Upon arriving at the baby shower party, ask the guests to write a fact that few people have known. This may be a hidden talent, a previous job, or a movie appearance. They drop the paper in a jar together with everyone else's papers. During the game, they will pick one sheet of paper and try to guess who is the person being described. You can also modify the game by having the host read each of the facts and have all of the guests try to guess the person. 0 Response to "5 Most Popular and Fun Baby Shower Games"